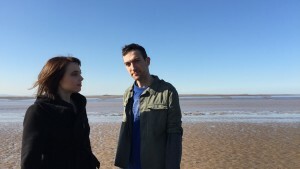 Singers and sound artists Nick Janaway and Sarah Owen perform a genre-defying mix of live sampling and traditional folk song, with voice at the heart of the music. 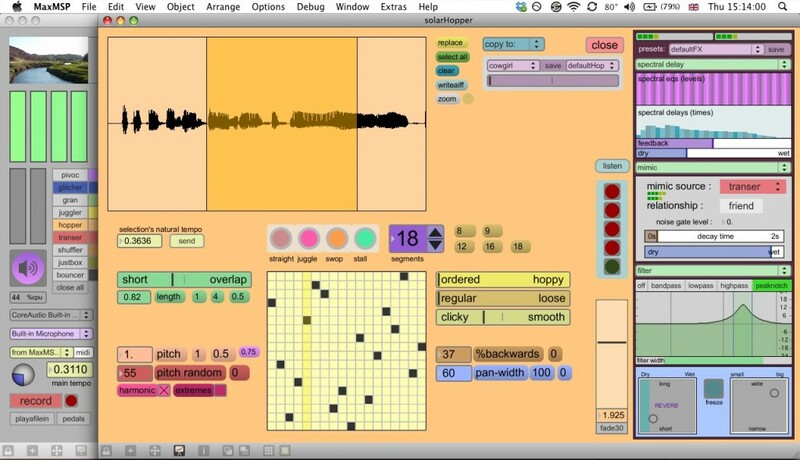 From laptops running their self-designed, ‘home-made’ sound software, the duo explores and transforms a range of sounds from bike bells to cellotape, alongside live instruments. 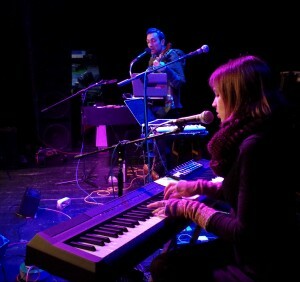 Every sonic detail of a Solarference performance is created live as Nick and Sarah improvise and respond together to weave layers of sound and song. 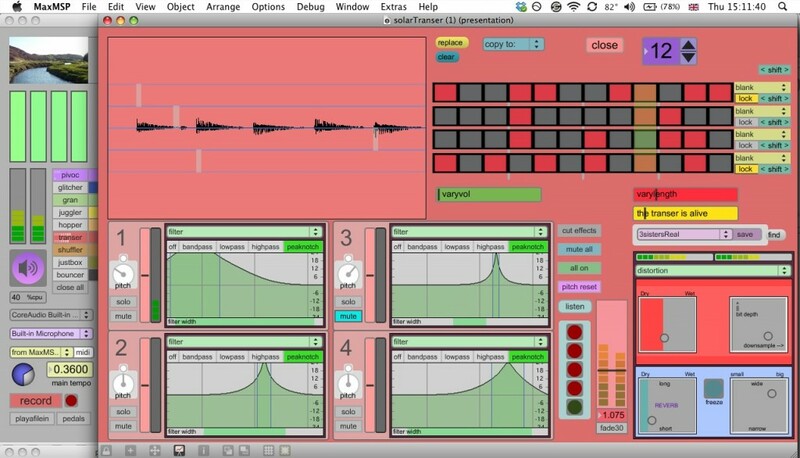 Nick, based in Bristol, is a songwriter, producer, multi-instrumentalist, and sound designer. Sarah is a versatile vocalist from East Devon with a background in sonic art and composition. 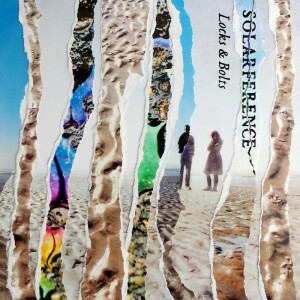 Solarference is the perfect forum for the two to bring together their love of the human voice and their fascination with live audio transformation. 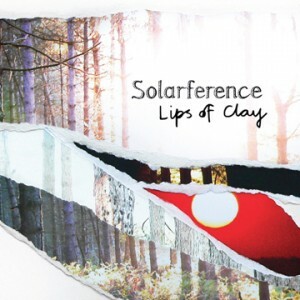 Winners of a Fatea Award for Innovation, their unique approach to fusing traditional folk music with live electronics has been gathering a growing critical acclaim, and their first album, Lips of Clay, was released in late 2012. 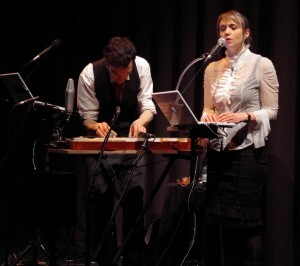 The duo devised a live soundtrack piece to the 1920 classic silent film “Dr. Jekyll and Mr. Hyde”, which toured to arts venues in the South West in 2014. In 2016 they released their second album, Locks & Bolts, recorded live at the Cube Cinema in Bristol. “Comb teeth were thumb-raked, miniature music box handles cranked … paper slowly torn and a dulcimer plucked. The resultant noises were expanded, multiplied and dispersed into rich and colourful fogs of sound. The principal source was the human voice, however, the vast potential of which was used to produce… an inner soundtrack, as if they were sounding out the film’s subterranean layers of meaning. … excitement and a daringly exploratory spirit in this committed and immensely enjoyable performance. 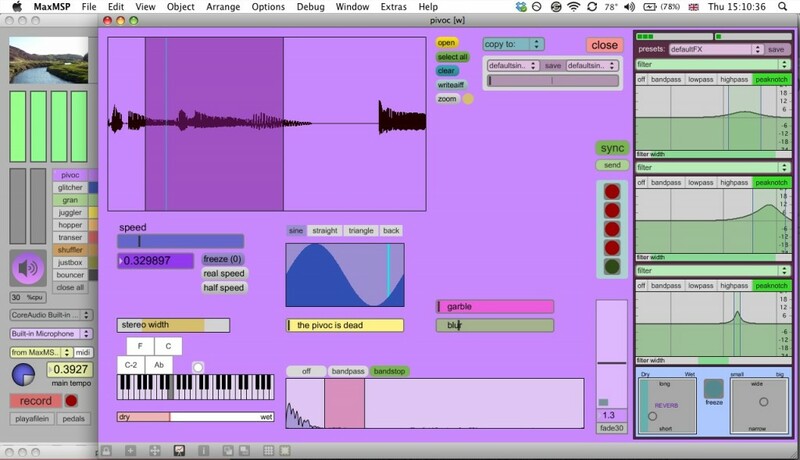 Below are some screenshots of Solarference’s self-designed performance software, patches made in Max/MSP – please contact us if you want to ask about them!